I love getting photos from my clients. It is truly the best part of this entire process. Considering I never actually meet my clients, never step foot into their homes, and never actually touch the items I’ve suggested for them, the photos are my reward, my closure, my purpose for doing this rad job. So, when I received these photos from my client I was so excited to share. 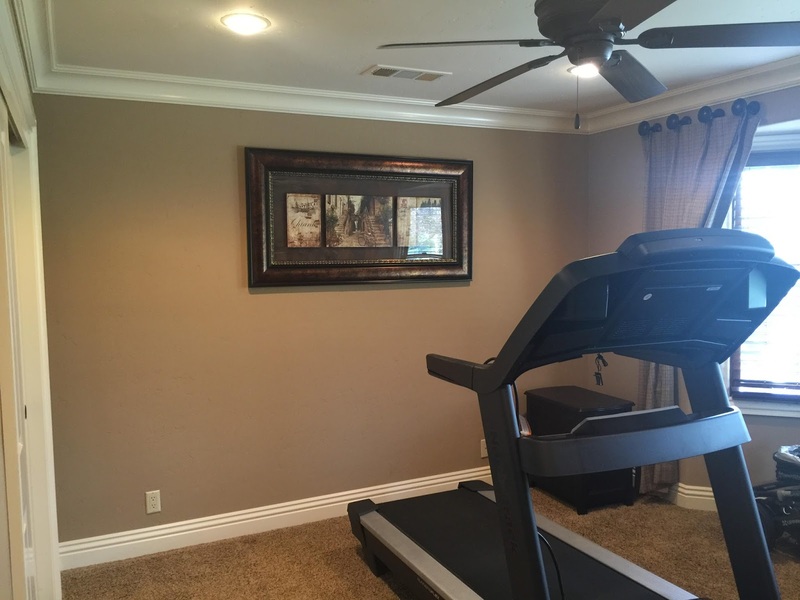 I know this room has been such a great transformation. 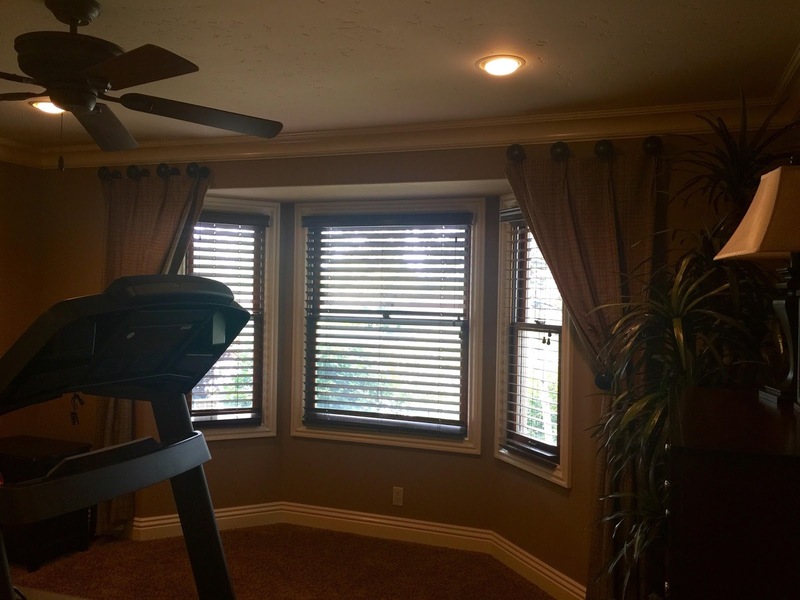 If you can believe it, two of the walls stayed the same color from these before photos, but just watch how much brighter the room feels after the introduction of some wallpaper and a lighten bay window wall. Such a fun transformation right? Any of you that follow me on Instagram know my love for anything Babyletto. 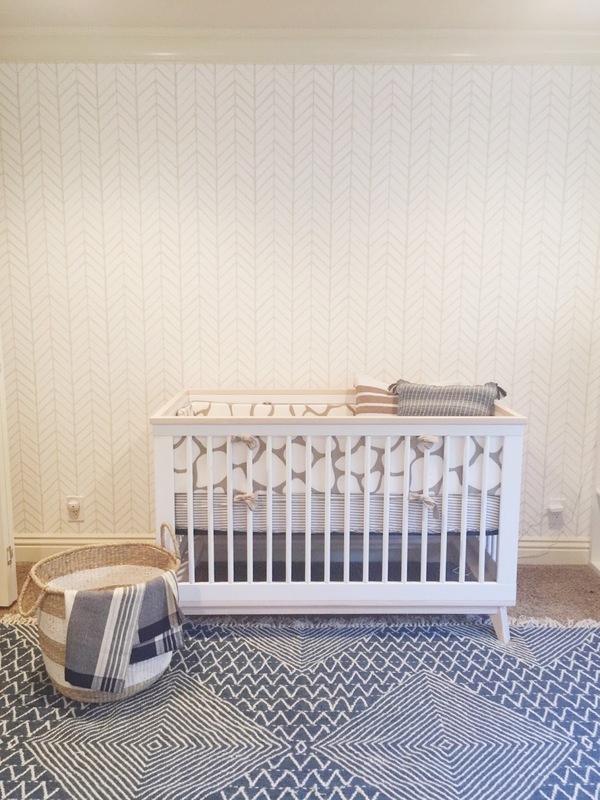 I just feel like they have such great looking cribs for such amazing prices! They make my job easy. 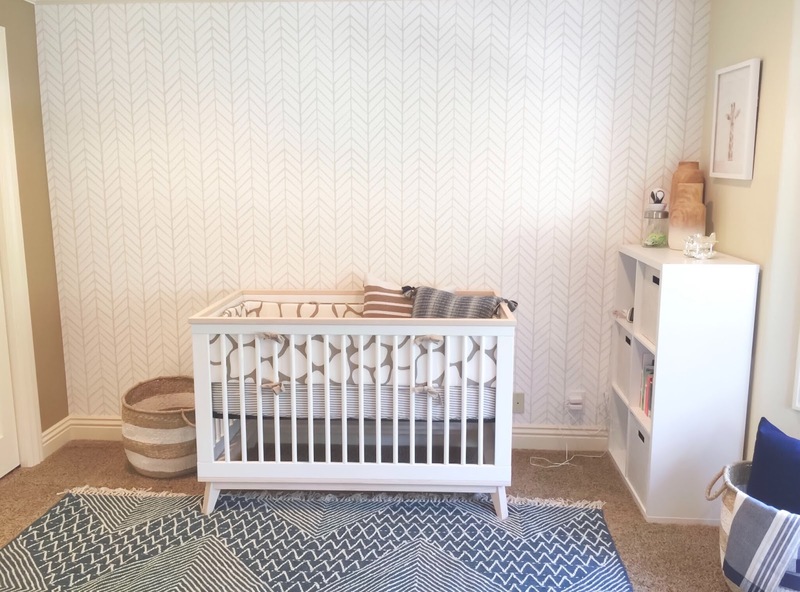 I knew we had to use the Scoot crib for this space because the colors mimicked the Serena and Lily wallpaper so nicely. 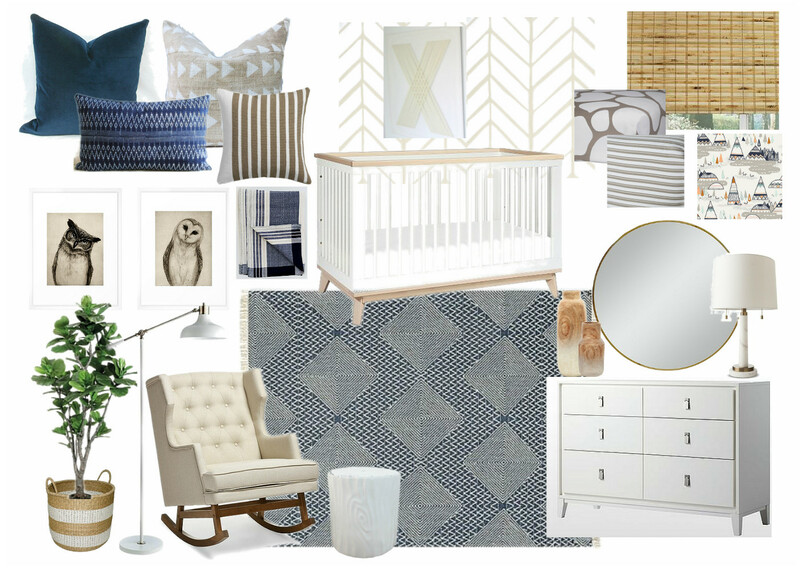 I was obsessed with the West Elm Traced Diamond Kilim rug because it was going to be such a strong introduction of blue, while allowing the rest of the room to be so neutral. I love how the bay window changed so much too. Doesn’t it look more youthful? I had mentioned to my client we needed to “young” this space up. By painting that wall a lighter color and eliminating the swagged drapes you could really see how much light this side of the room exudes. And I love me some natural bamboo shades. Thank you to my fabulous client who I just adore and welcome to your little guy.